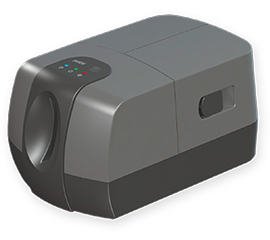 The E-Seek Model M500 Forensic Reader extracts hidden security features of a drivers' license, Military ID or any identity card for authentication purposes in addition to reading and decoding the electronic information contained in the barcode or magnetic stripe. Both sides of the submitted card are also captured with the high resolution imager during this single card insertion. The captured data can be analyzed on the host computer via the TWAIN connection. The Model M500 also incorporated a high performance PDF417 decoder, 3 Track magnetic reader, along with a high speed USB device as standard capabilities. ISO Standard Size, 2.125" x 3.375"
Scanner (without power supply): 4.25 lb.